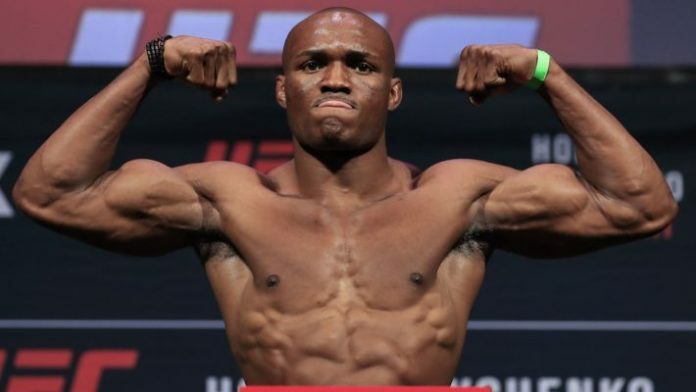 New UFC welterweight champion Kamaru Usman is on the mend after undergoing hernia surgery in Philadelphia on Tuesday. Usman underwent the procedure in Philadelphia on Tuesday. “It’s a pretty intense surgery,” Usman said on his Instagram after going under the knife. “They went in and got it done. This is for the best. I needed to get it fixed so I could be back and ready to defend that belt. Usman didn’t give an exact timeline when he hopes to return but he had stated in an earlier video just after leaving the operating room that he didn’t expect to be sidelined for an extended period of time. While nothing is set in stone, Usman is expected to defend his title against former interim champion Colby Covington later this year. During his video statement, Usman said that he was returning to face ‘you know who’ obviously referencing a long simmering feud with Covington. Covington said that he hoped to book that title fight by June or July but as of now the UFC has made no decisions regarding his matchup against Usman, especially with the welterweight champion just now going through surgery. Usman is currently 10-0 in the UFC including his win over Woodley to become champion and now that he’s undergone some long needed knee surgery, he hopes to perform at an even higher level when he returns.